The Electronics conformal coating market was valued at USD 1.70 Billion in 2014, and it is expected to reach USD 2.41 Billion by 2020, at a CAGR of 5.99% during the forecast period. The base year used for this study is 2014 and the forecast period considered is between 2015 and 2020. This report provides a detailed analysis of the Electronics conformal coating market based on material types, equipment, methods, applications, and regions. The increasing use of automation and adding as well as enhancing features of the end products by Original Equipment Manufacturers (OEMs) has resulted in the increase usage of electronic components which is one of the major drivers for the Electronics conformal coating market. Besides this the conformal coating helps manufacturers to provide end products with higher level of reliability by protecting the electronic components from moisture, chemicals, dirt, temperature extremes, and abrasion. This factor is also fueling the growth of the above said market. The conformal coating ecosystem comprises conformal coating material vendors such as Chase Corporation (U.S.), MG Chemicals Ltd. (Canada), DOW Corning Corporation (U.S.), and Chemtronics (U.S.); equipment providers such as Nordson Corporation (U.S.), and Precision Valve & Automation, Inc. (U.S.), and others who sell these products to end users to cater to their unique requirements; end users are from a wide range of applications sectors such as automotive electronics, consumer electronics, medical electronics, and aerospace & defense among others. Market, by Material: acrylic, silicone, polyurethane/urethane, parylene, epoxy, and others. 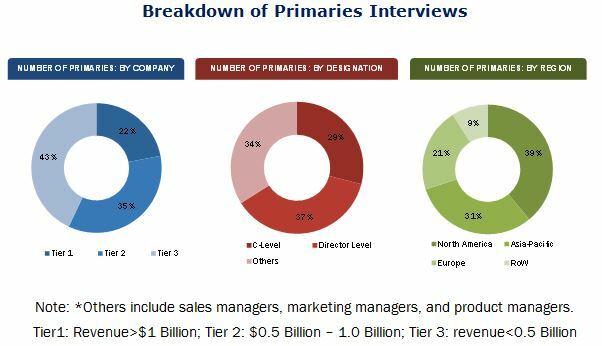 Market, by Application: automotive electronics, aerospace & defense, consumer electronics, medical electronics, and others. Competitive Landscape: Market ranking analysis. Company Profiles: Detailed analysis of the major companies present in the Electronics conformal coating market. The global Electronics conformal coating market size is estimated to grow from USD 1.70 Billion in 2014, and is expected to reach USD 2.41 Billion by 2020, at a CAGR of 5.99% between 2015 and 2020. The growth of this market is being propelled by the increasing usage of electronic components in the end products by OEMs, as well as ability of this coating to help manufacturers to provide end products with higher level of reliability. The scope of this report covers the Electronics conformal coating market by material, equipment, method, application, and region. The leading conformal coating materials of the conformal coating material market are acrylic followed by silicone. The leading position of the acrylic conformal coating material can be attributed to the fact that among all the materials it is the easiest to re-work on the acrylic material. Besides this, acrylic material is also easy to apply, has low cost, takes less time to cure, and provides good resistance from chemical, moisture, and abrasion. The market for aerospace & defense application sector is expected to grow at a high CAGR during the forecast period. Companies in the this sector are using conformal coating to provide electrical, physical and mechanical protection to electronics such as radar/detection equipment, power systems, navigation systems, communication systems, and military vehicles. One of the key restraining factors in the Electronics conformal coating market is the decrease in demand for electronic devices and equipment because of economic slowdown. The impact of this restraining factor would decrease with time as the economy in countries recession start to recover. The major players in the conformal coating market include Chase Corporation (U.S.), DOW Corning Corporation (U.S.), Electrolube (U.K.), Nordson Corporation (U.S.), Precision Valve & Automation, Inc. (U.S.), and others. 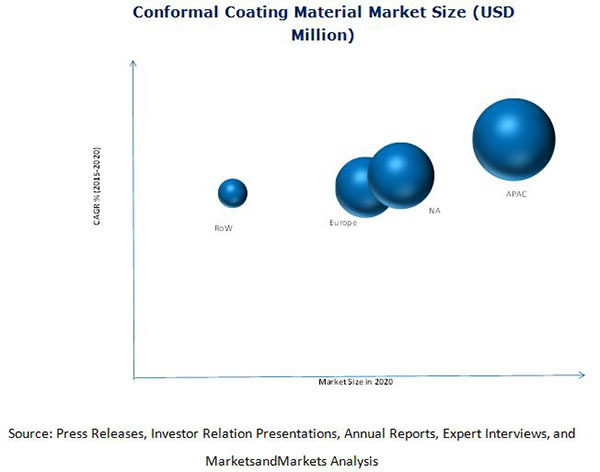 These players adopted various strategies such as new product developments, acquisitions, and business expansion to cater to the needs of the conformal coating market. 13.3 Precision Valve & Automation, Inc.
13.6 Shin-ETSU Chemical Co., Ltd.